These again are so photo-realistic! The attention to details of the noodles, the leaves, the roots of the spring onions, and the bean sprouts... simply awesome! I know I always say the same thing, but I love to look at your drawings--they are just so wonderful-especially the food. Phenomenal! Your vegetables are so well done. Fascinating composition too. Love the irregularity of it - the way it lays on the page. (Love your vegetable soup too, by the way). OMG! 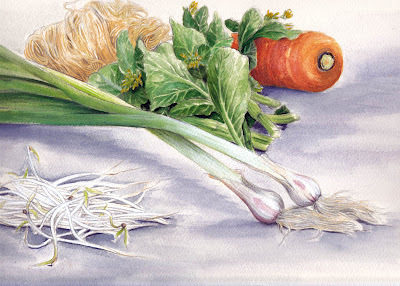 You've got to stop with all these food paintings. I'm dieting. What beautiful vegetables. 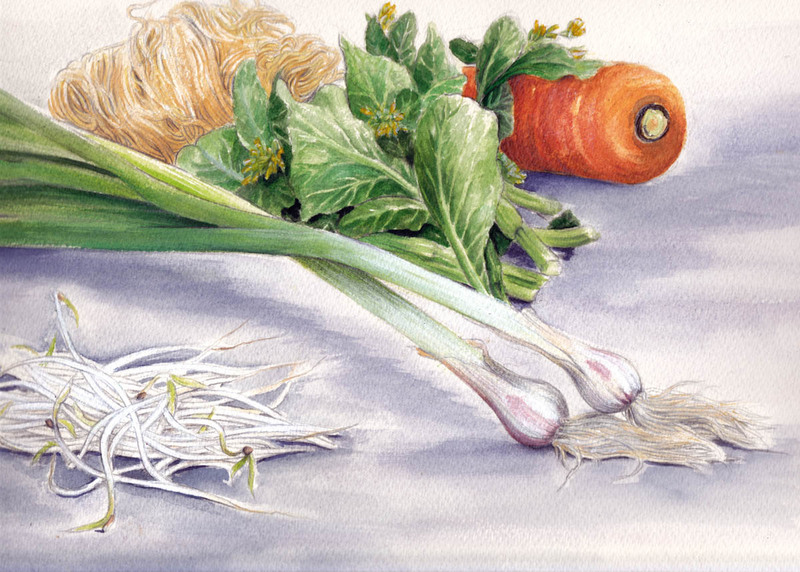 I love how delicately you've painting the scallions and the greens. Oh, yum, you make food look so good! Great drawing.